A couple of months ago, Lucasfilm sent out a very limited amount of cool Star Wars Rebels promo cards that featured some great Imperial Propaganda art by Amy Beth Christenson. 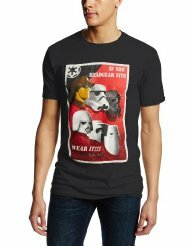 Well if you ever thought those pieces of art would make for some great shirts, you’re in luck, because you can now purchase those Imperial Propaganda art as T-Shirts over at Amazon.com! Here are a couple of images of the T-Shirts to give you an idea of what they look like. 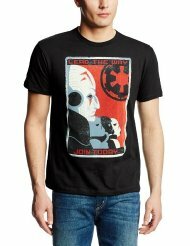 To order a T-Shirt, or to see more images of them, be sure to head on over to Amazon.com to check them out.